The Community of St. Mary of the Annunciation is a non-cloistered Benedictine Canon community following the Rule of Benedict. We consist of Canons and Oblates, led by the vicar of St. Augustine’s, Prior Chad-Joseph Sundin, OSBCn. You can learn more about us at stmarycanons.org and osbcn.org. 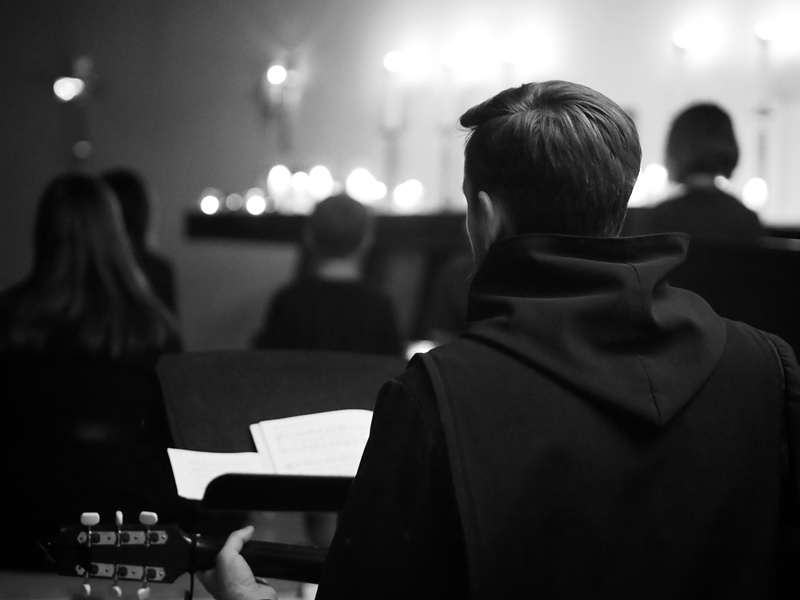 Though we do not live in common like cloistered Benedictines, we gather daily, Monday-Friday, for Morning Prayer and Eucharist and share common prayer times throughout the day. Matins (Morning Prayer) with Mass (M-W, F): 8:30am at St. Augustine’s. We use the Book of Common Prayer, St. Helena Breviary, and the Holy Bible for our prayer books. Guides for our prayer are available upon request from the Prior, who will happily answer any questions you may have about our community and its prayer life. All are invited to Daily Prayer and Mass at St. Augustine’s. Each month we gather for a casual meal with a conversation about Benedictine spirituality and prayer. Contact Prior Chad, if you’re interested in attending. All are welcome. You can read Prior Chad’s daily reflection on the Rule of Benedict (complete with a daily reading from the Rule) here: stmarycanons.org/blog.